In this video testimonial, former Davis Law Group, P.S. 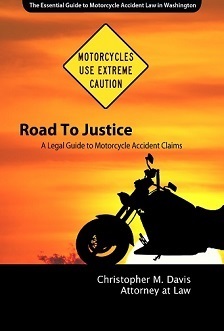 client Lester explains why and how he ended up hiring Chris Davis to represent him for the injuries he suffered in a serious motorcycle accident. 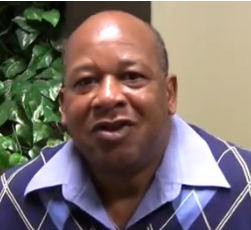 Lester explains that the patience and convenience of working with Davis Law Group allowed him to recover from his injuries and eventually receive fair compensation that left him smiling during his exit interview. In fact, Lester says that if any of his family members or friends find themselves in a similar situation, he would recommend that they call Davis Law Group to represent them because of how much he enjoyed his experience. It all started off with me being involved in a motorcycle collision. After that, I proceeded on to seek out a lawyer and Chris Davis’s name came up. I was searching for several different lawyers and I picked Chris Davis out. I sat down and spoke with him and he told me it would take time to do all of the paperwork and get all of the information from the insurance company, from myself and from the other person involved. I was really happy with Chris the day that I sat down and spoke with him. If at any time any of my family members or my friends ever get into an auto accident, I would definitely recommend Chris Davis. If I ever in the future have any other problems as far as automobile or motorcycle accidents I would definitely come back to Chris. I’m really happy with the way the people handled things [at Davis Law Group]. They are really patient, they returned calls, they answered calls, they emailed, you know, they made it pretty simple for me to stay in the game with them, and to have the patience that they allowed me to have to one day come in here and smile. Thank you very much to everyone at the Davis Law Group who has handled my case. -Brandon E.
"...kindest, most caring, and forthright people I've ever met" -Evan I. "I'm glad we decided to have the Davis Law Group represent us in this matter." -Jim D.
"I Picked Chris Davis" -Lester P.